Housing Ministry has advised not to use the Male' Ring Road area under development as a chemical is being used in developing the tarmac road. 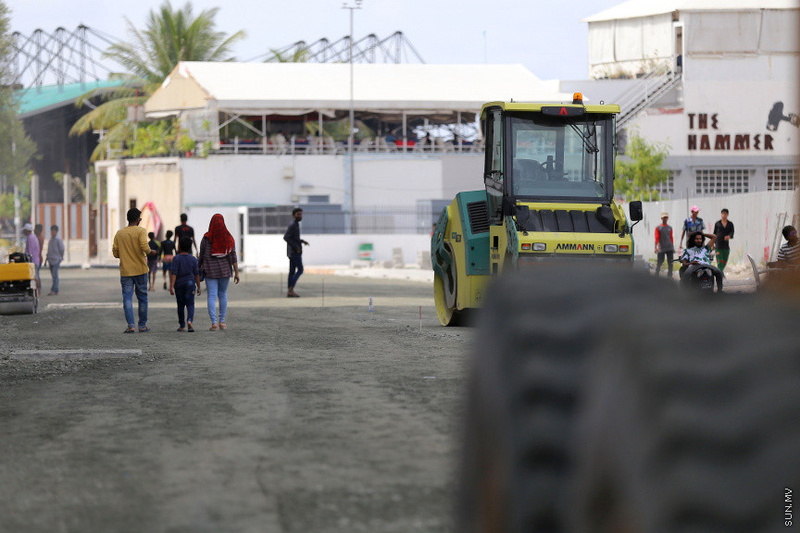 While the aggregate base course (ABC) layer is underway before the tarmac is installed on Boduthakurufaanu Magu, a chemical would be used on the pre-tarmac ABC layer. Media Consultant of the Housing Ministry, Ahmed Fazal Hussain, told Sun Media that people are walking at the area and some vehicles are being used as well. The Housing Ministry said advised caution against using the developing area and the difficult odour of the chemical. Fazal said that the tarmac project on Boduthakurufaanu Magu would be completed and reopened to the public before the end of this August. He said that the Ministry understands that it would be difficult when roads are closed and thanked the public for their cooperation. While the Housing Ministry is working to widen Boduthakurufaanu Magu from the Industrial Village to Hulhumale' Ferry Terminal, the Ministry has previously said that the project would be completed before the bridge between Male' City and Hulhule' would be completed.